The Laboratory of Statistical Biophysics (or Laboratoire de Biophysique Statistique, if you like the sound of French), has been established in October 2003. Our offices are located in the stimulating scientific environment of the EPFL/UNIL campus, and with a stunning view on the lake. Our goal is to use tools mainly from statistical physics to contribute to the understanding of the properties of living matter. In general, we are interested in statistical physics, biophysics and computational physics. For our research, we have the privilege of working together with many skilled scientists in Lausanne (EPFL, UNIL), in Switzerland and abroad, and we are supported financially by the EPFL, by the Swiss National Research Foundation and by the European Commission. Modeling Hsp70/Hsp40 interaction bymulti-scale molecular simulations andcoevolutionary sequence analysis. Shape of a Stretched Polymer. 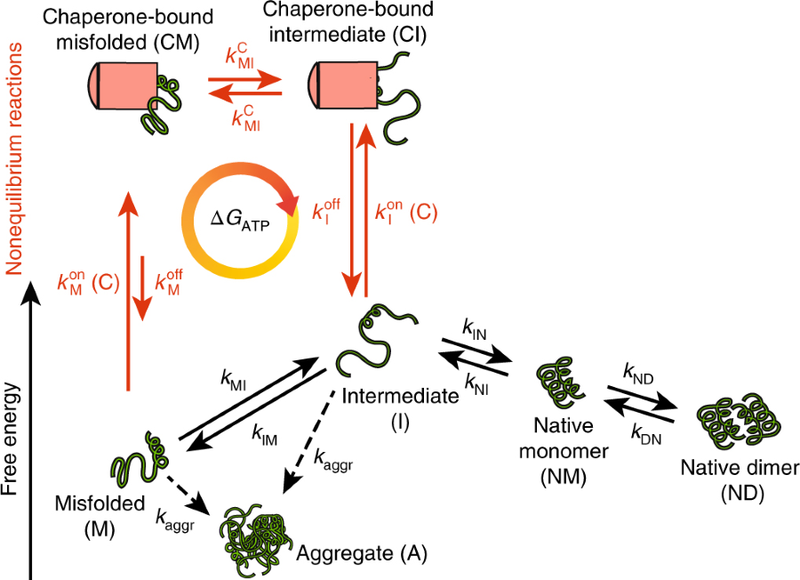 Large-Scale Conformational Transitions and Dimerization Are Encoded in the Amino-Acid Sequences of Hsp70 Chaperones. Hsp70 chaperones are non-equilibrium machines that achieve ultra-affinity by energy consumption.